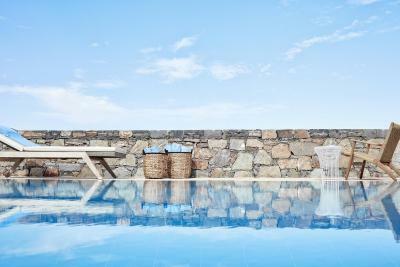 Lock in a great price for Blue Palace, a Luxury Collection Resort and Spa, Crete – rated 9.3 by recent guests! We stayed at this property for a mini honeymoon. 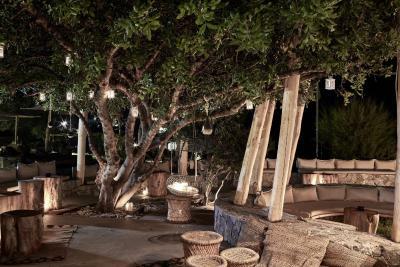 We were looking for relaxation and seclusion and received just that! The property is in impeccable shape. You always see staff cleaning up and fixing around to keep the property in its best shape. Our room was always well cleaned and the food on the property was outstanding. 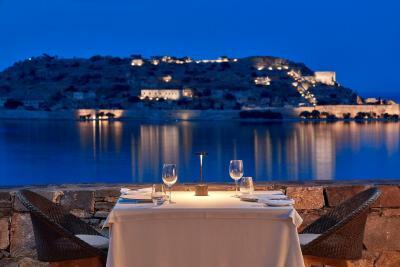 We had food delivered to our room every day and enjoyed the spectacular views from our room. If you are looking for relaxation this is the place to stay. Should be 3-4*, It doesn't deserve more than that. The staff were very polite and helpful and the rooms were clean with a lovely view. The facility was marvelous. The beach fantastic but nothing compared to the warmth of the staff. 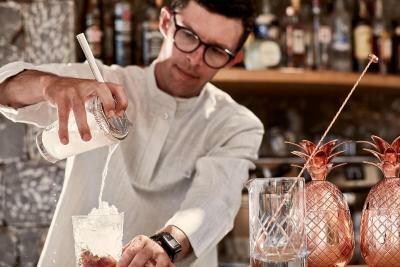 George, the food and beverage manager was always on site acting as host and friend. His attitude was reflected by Nina and his entire staff. We travel worldwide and this might be the best service we ever had. Don’t bother eating off site. Every restaurant was better than anything you can get in town. We will be back! Coming from the United States the biggest thing we know this was hospitality. We will definitely be coming back in the future with family. Impressive design of the hotel, spectacular location and very helpful staff. Very good food also. All our needs were met if not exceeded. We loved the cable cabin taking us to our apartment! This hotel is able to accommodate dietary requirements to a large degree. 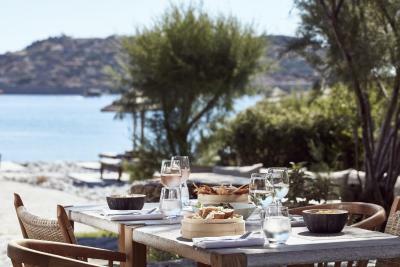 The hotel is beautiful and has amazing views over the bay and the Spinalonga island, the staff was incredible and you feel like they really care, they also had great recommendations for us for places to go and where to eat and they went above and beyond when I asked for a nice flower bouquet to be in the room when we arrive for my wife's first mother's day. It really was a perfect vacation for us and we would love to go back in the future. The food was amazing. The staff was friendly and helpful. The rooms were comfortable. The property was gorgeous. 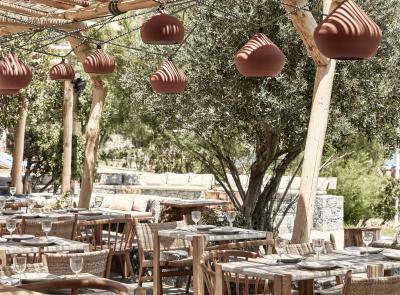 Blue Palace, a Luxury Collection Resort and Spa, Crete This rating is a reflection of how the property compares to the industry standard when it comes to price, facilities and services available. It's based on a self-evaluation by the property. Use this rating to help choose your stay! 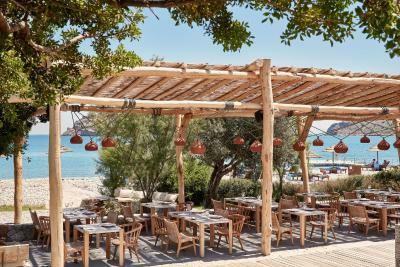 One of our top picks in Elounda.Set on Elounda coast, the 5-star Blue Palace, a Luxury Collection Resort and Spa, Crete combines luxurious accommodations with award-winning cuisine and a state-of-the-art spa. 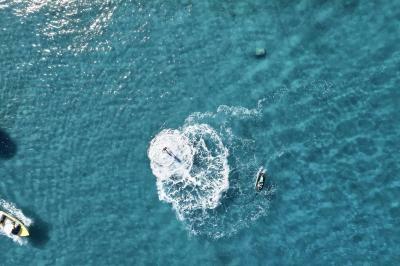 It includes infinity pools, a water sports center and 2 tennis courts. 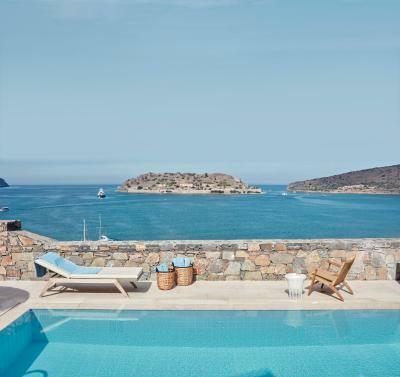 Blue Palace, a Luxury Collection Resort and Spa offers elegant suites and bungalows with magnificent views to the island of Spinalonga, most with private pools. Each unit has a comfortable living area with a satellite LCD TV. 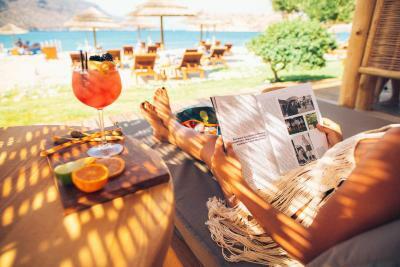 Some room types enjoy private access to a section of the beach. 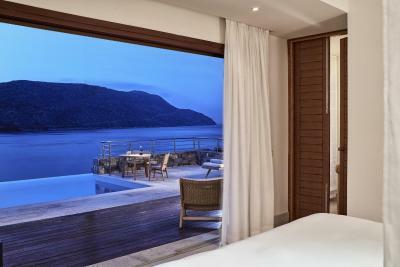 The Elounda Spa covers a 2,000-m² area and features indoor pools, 24 treatment rooms, 2 hammams, saunas and hot tubs. A fitness center and a beauty salon are also available. 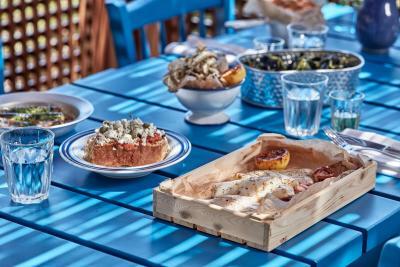 Guests can start their day with the Greek Breakfast, while Cretan, Italian,Asian and Greek contemporary cuisine are some of the dining options that Blue Palace has to offer, all made with the finest ingredients. 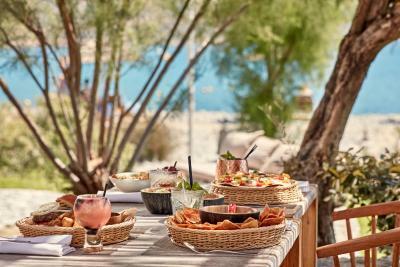 A Moroccan-style bar, a pool bar and a beach bar serve exotic cocktails and finger food with spectacular views across the Cretan Sea. 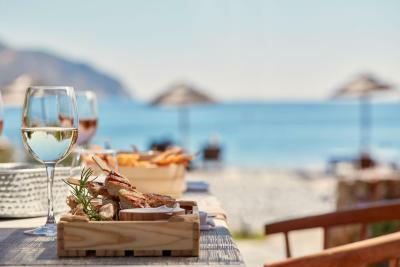 At Isola Beach Club guests may enjoy an abundance of favorite libations right by the waterfront, while soaking up the sun and savoring the sea air. 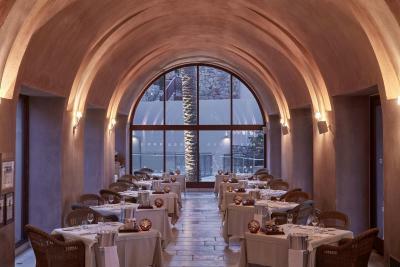 Indulge in fresh salads, burgers and sandwiches, signature cocktails and French rosé wine. 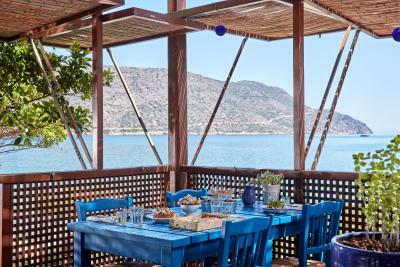 A private boat can take couples around the Gulf of Elounda while sipping cocktails, while a family can enjoy an amazing barbecue lunch in an isolated beach after snorkeling in turquoise waters. 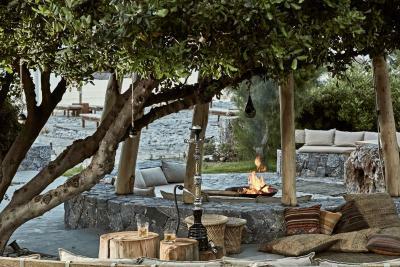 Guests may simply gaze at the island of Spinalonga around an open air fire at the beach club as the sun sets down. 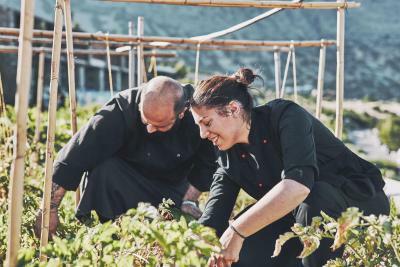 You may take a wonderful lesson with plenty of hands-on cooking with the Greek Cooking Lesson or enjoy the most exquisite wines of the island with the Cretan Wine Tasting. 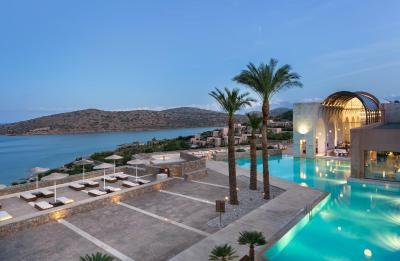 The resort is 3.1 mi away from the village of Elounda. 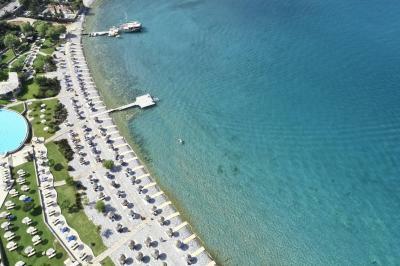 The fishing village of Plaka is within 1,650 feet. 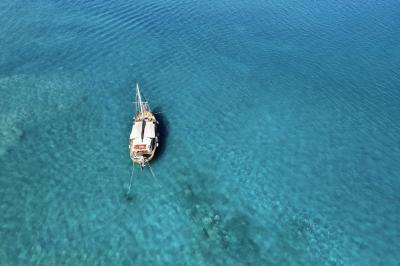 Boats to Spinaloga, a National Monument of Greece, depart from there. 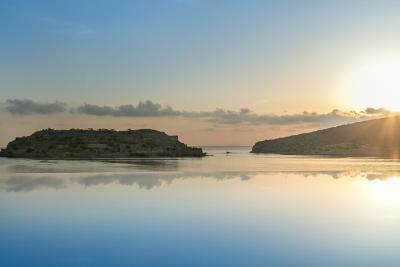 When would you like to stay at Blue Palace, a Luxury Collection Resort and Spa, Crete? This bungalow has a sofa, satellite TV and bathrobe. This bungalow features a seating area, sofa and bathrobe. This bungalow has a bathrobe, mini-bar and sofa. This bungalow features a bathrobe, satellite TV and air conditioning. This bungalow has air conditioning, sofa and private pool. This double room features a flat-screen TV, mini-bar and bathrobe. This suite has a bathrobe, satellite TV and air conditioning. 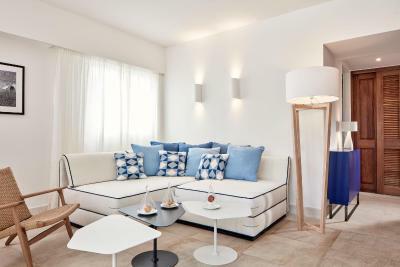 This suite features a private pool, sofa and seating area. This suite has a seating area, air conditioning and flat-screen TV. 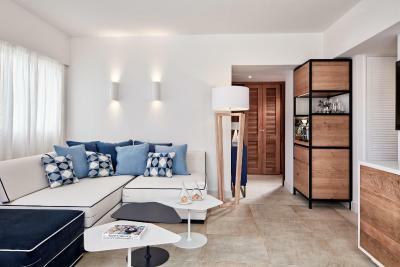 This suite features a sofa, bathrobe and seating area. 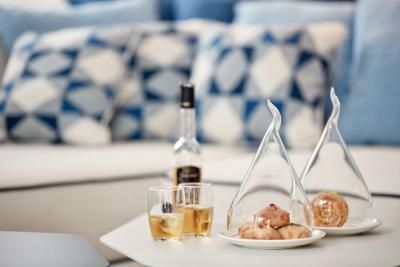 This suite has a sea view, mini-bar and seating area. 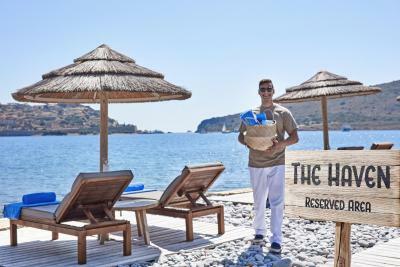 House Rules Blue Palace, a Luxury Collection Resort and Spa, Crete takes special requests – add in the next step! 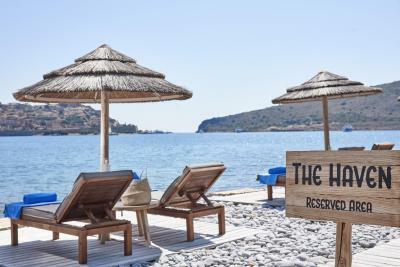 Blue Palace, a Luxury Collection Resort and Spa, Crete accepts these cards and reserves the right to temporarily hold an amount prior to arrival. 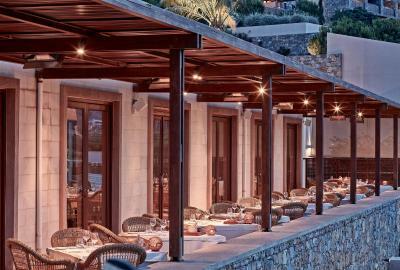 In case of free upgrade to half board, please note that dinner is provided only at the property's buffet restaurant. All guest rooms, suites, villas and outlets (both indoor and outdoor) are nonsmoking. Guests who smoke are permitted to do so in their private balconies/terraces and in designated outdoor smoking areas. There is a EUR 200 recovery fee for guests who do not comply. Card deposit payments are considered valid only when both card and card holder are present at check-in and the card details can be verified with holder’s ID/passport details presented at check in. In any other case, the hotel will refund the payment to the original card and a new payment will be requested so as card and holder to be present and can be verified by ID/passport details. Our room was classed as a bungalow! With sea view. It’s actually a posh name for apartment style room above sometimes noisy neighbours who had pools. Although the room was beautiful and the bathroom very modern there was hardly any room to sit comfortably in the two chairs provided with coffee table. Had to keep moving them to get into bed. There isn’t adequate means to get to the main reception at hall for meals or bar if there’s more than 8/9 people waiting for the one lift. I wouldn’t like to visit in the height of summer as it’s almost impossible to walk up the steep hill. I would just point out that in order to get from the airport to the hotel it will cost about 110 euro with a private taxi arranged by the hotel. This seemed to be the only option unless you rent a car or take a taxi to a nearby town that was about 20 minutes away. This did not make or break our hotel experience as we were so thrilled with the time we spent at the hotel. The heated pools, didn’t really feel heated. First holiday with our 5 month old baby and Blue palace exceeded our expectations. They provided bottles sterilisers, cot, washed bottles in the room. The staff were amazing, the buffet breakfast with champagne each morning was fabolous! The music in the funicular was too loud and the type of music inappropriate. The entire environment was excellent. We looked for some r&r without the kids and ended with one of the best vacations we had! We were upgraded at arival from a bungalow with private pool to a bungalow with a hitted pool and granted with late checkout with no extra charge. The hotel is great, very high level of service and facilities. 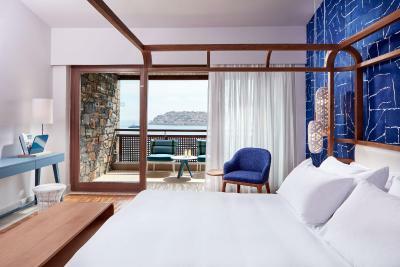 The room was very nice and clean with comfortable bad and amazing view to the elounda bay and spinalonga island. Hotel beach is beautiful and the spa facilities were very good. A little bit far from city. Food is just ok. The wait for the one (slow) elevator that connects the lower level bungalows to the beach and reception is a terrible waste of time, and golf carts are not easy to come by. The oddity of asking the customer to pay the stay upfront upon arrival, particularly for late hour arrivals at the hotel is just incompatible with a hotel of its class! The outdoor pool tends to get quite cold towards the end of season, would have been nicer to have a heated one for a hotel as highly rated as Blue Palace. 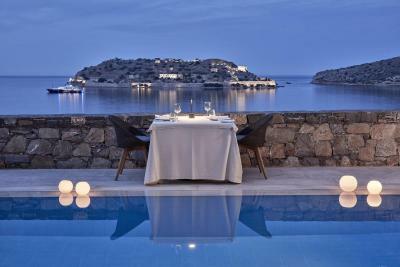 The view from the hotel onto the sea and Spinalonga is simply amazing, so well worth getting a sea view room. The staff was courteous, although could do with a bit more knowledge of travel tips for people that want to explore the area. 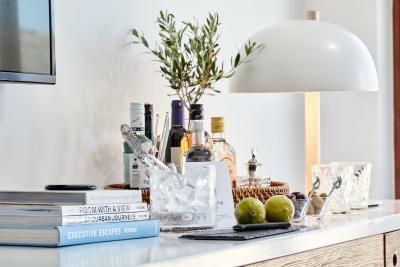 The rooms are kept impeccably clean by the staff and the traditional welcome gift upon our arrival was a very thoughtful detail. The breakfast variety was great, with the only slight oddity of the chef only heating up the already-made fried eggs rather than taking the trouble of preparing them fresh. 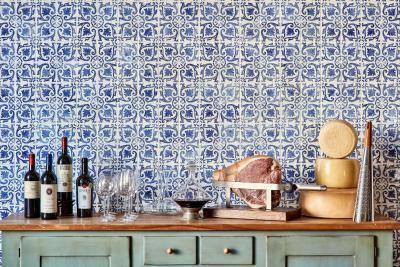 Inside restaurants are very expensive. The beach is excellent with one exception: if you are not good swimmer, u cannot enter the sea..
Accomodation was very over priced. Stunning location and views but overall staff service was a let down. We stayed in a room with private pool and sea view. 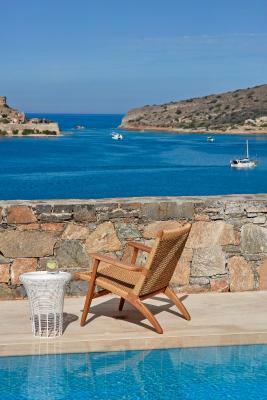 The view to Spinalonga Island was stunning, and the room was very nice. We didn't use the other hotel ammenities, but we did eat at three of the restaurants. Buffet breakfast was great with many options. The Asian fusion restaurant was also delicious but we were not impressed with the Italian restaurant and their staff. Food was quite over priced here with not very welcoming staff considering these are guests of a 5 star hotel. The food was sometimes a bit cold..
That I only got to stay one night!